PFI agreements are complex documents, setting out the contractual relationship between the PFI Company and the Council. School have an obligation related to the PFI and these are set out in a Governing Body Agreement (GBA) between the Council and the school. The GBA had not been strictly adhered to by the parties to the agreement which further complicated matters. Our task was to initially clarify the basis on which charges had been made from correspondence and emails and to assess this against the agreement. Having done so, we also considered the commerciality of the arrangement and the sustainability of the funding model before drafting a counter response. Moore Stephens Insight constructed a model in excel detailing the makeup of the annual charges in a clear and unambiguous way before extending the model to consider possible future options for funding. 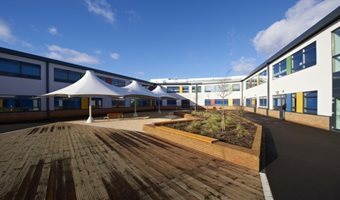 We used our expertise to identify the relevant portions of school funding and assessed the proposed charges against both the legal wording of the agreement and what the school felt had been contractually agreed via correspondence and emails. We considered all possible options and arguments and built a case for renegotiation of the charges. Finally we drafted a response and counter offer to the Council on behalf of the school. We built a strong case for renegotiation of the terms on a fair and sustainable basis and we are still assisting the school in ongoing negotiations.